These days, people with Parkinson’s disease tend to ask their doctors more questions about cannabis than any other subject; yet, few physicians have adequate answers for them. So says a new survey announced by the Parkinson’s Foundation, which plans a conference on that subject next month in Denver. The March 6-7 meeting will bring together about 40 top scientists, clinicians, physicians and marijuana industry executives, said James Beck, MD, the foundation’s chief scientific officer. The survey, conducted jointly by the Parkinson’s Foundation and Chicago’s Northwestern University, found that 80% of Parkinson’s patients have used cannabis, and that 95% of neurologists have been asked to prescribe medical marijuana. But only 23% of doctors have ever received formal education on the subject. In addition, 52% of the 56 experts who responded to the 73-item online survey took a neutral position on cannabis use with their patients, 9% discouraged its use, and 39% encouraged it. Kluger wrote a review, “The Therapeutic Potential of Cannabinoids for Movement Disorders,” that was published in early 2015 in Movement Disorders. Also presenting at the conference is A. Jon Stoessl, MD, co-director of the Djavad Mowafaghian Centre for Brain Health at the University of British Columbia in Vancouver. “In order to move the field forward, we need to determine which cannabinoids are likely to be beneficial or harmful, whether people with Parkinson’s are at risk from side effects, what we are hoping to treat, and how to conduct informative clinical trials,” Stoessl said. 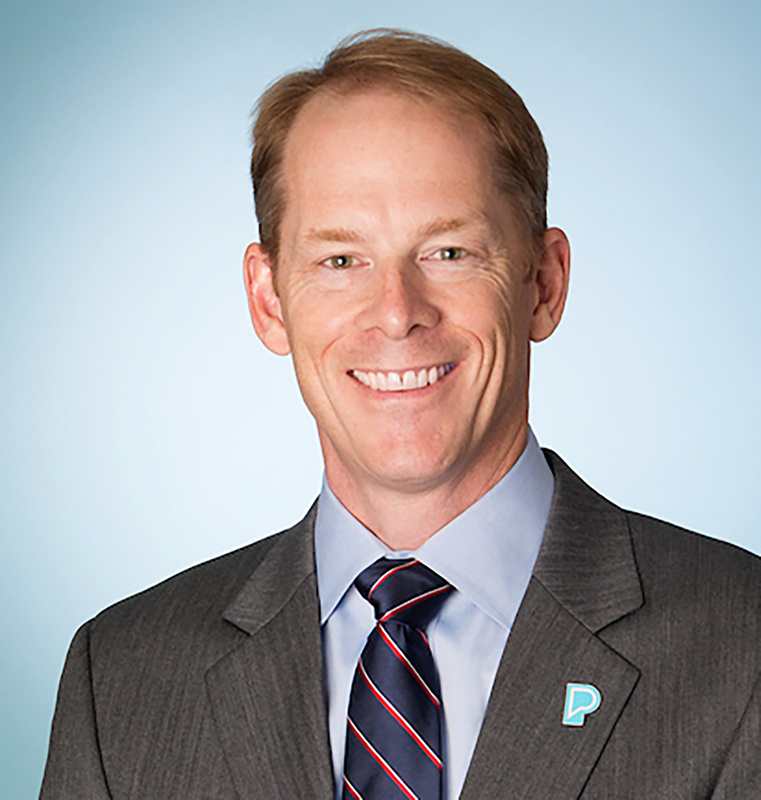 The Parkinson’s Foundation, founded in 1957, now has 120 full-time staffers and an annual budget of $33 million. It represents the roughly one million Americans with Parkinson’s, which now ranks as the second most common neurogenerative disease after Alzheimer’s. Beck said his nonprofit hopes to “develop a path to understanding formulations of cannabis and the pharmacology behind it” for the benefit of Parkinson’s patients everywhere. Scientists have isolated more than 60 cannabinoids, including tetrahydrocannabinol (THC), the main psychotropic compound, and cannabidiol (CBD), a non-psychoactive chemical with potential therapeutic properties. At the moment, 33 states and the District of Columbia have declared medical marijuana legal; that’s up from 20 states only four years ago. In D.C. and 10 states — Alaska, California, Colorado, Maine, Massachusetts, Michigan, Nevada, Oregon, Vermont and Washington — recreational use is also allowed. Cannabis may be useful for several non-motor symptoms such as anxiety and weight loss associated with advanced Parkinson’s, he said, as well as for pain and stiffness. A recent report, “Special Issue: Cannabis in Medicine,” that was published in the European Journal of Internal Medicine, concluded that cannabis reduces spasticity — muscular stiffness or involuntary spasms — in MS patients. And data from two trials in Italy and the Czech Republic support the idea that Sativex, developed by Britain’s GW Pharmaceuticals, is effective in treating moderate-to-severe spasticity. The oromucosal spray is a formulated extract of the cannabis sativa plant and has earned approval in Australia, Canada, Israel and more than a dozen European countries. The post Parkinson’s Foundation Will Gather Experts to Study Cannabis as Disease Therapy appeared first on Parkinson’s News Today. That business is Kind Therapeutics USA of Hagerstown, Maryland — which holds a license to produce cannabis products in Maryland under a management agreement with MariMed, a publicly traded company based in Massachusetts. The venture’s various offerings contain both cannabidiol(CBD) and tetrahydrocannabinol (THC), the main psychoactive compound in cannabis. The company occupies a newly renovated 180,000-square-foot facility and a 10,000-square-foot processing lab that for 130 years housed the Statton furniture factory. Located across the street from a livestock auction house, the sophisticated operation now ranks among the East Coast’s largest suppliers of cannabis for the U.S. medical marijuana industry. Medical use legal in 33 states and D.C.
With other entrepreneurs, Diehl is betting that the expanding U.S. legalization of cannabis for medicinal use will boost sales of the company’s products to treat everything from skin cancer to multiple sclerosis (MS). At the moment, 33 states and the District of Columbia have declared medical marijuana legal; in D.C. and 10 states — Alaska, California, Colorado, Maine, Massachusetts, Michigan, Nevada, Oregon, Vermont, and Washington — recreational use is also allowed, even though the federal government still considers marijuana in all its forms illegal. 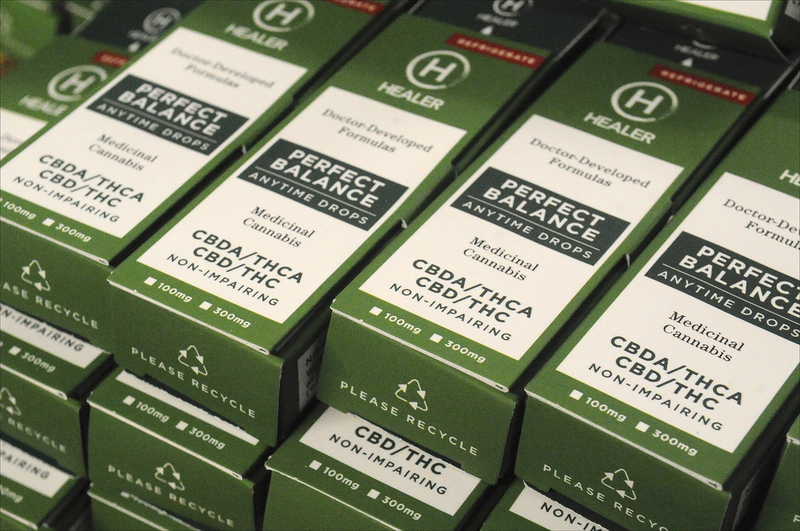 Boxes of “Healer” CBD/THC cannabis drops await distribution at the Kind Therapeutics. Internationally, Canada is now the world’s largest legal marijuana market, having legalized its cultivation and sale in October 2018 through the Cannabis Act. Uruguay became the first country to fully legalize marijuana in 2013, with sales permitted in local pharmacies. Last month, Israel became the third country — along with the Netherlands and Canada — to allow the export of medical cannabis. Tikun Olam, which has given MariMed exclusive rights to produce its cannabis products in Maryland, is among Israel’s top cannabis producers. The U.S. Food and Drug Administration (FDA) made history when, in June 2018, it approved a first marijuana-derived therapy to treat any disease. In this case, the cannabidiol was Epidiolex — developed by Britain’s GW Pharmaceuticals — to be given to patients with Dravet and Lennox-Gastaut syndromes, both severe forms of epilepsy. A 2018 report, “Special Issue: Cannabis in Medicine,” found that cannabis-based productscan reduce spasticity — muscular stiffness or involuntary spasms — in MS patients. Data from two trials, in Italy and the Czech Republic, support the idea that GW’s Sativex is effective in treating moderate to severe spasticity. The oromucosal spray is a formulated extract of the cannabis plant, and has been approved in Australia, Canada, Israel, and more than a dozen European countries. 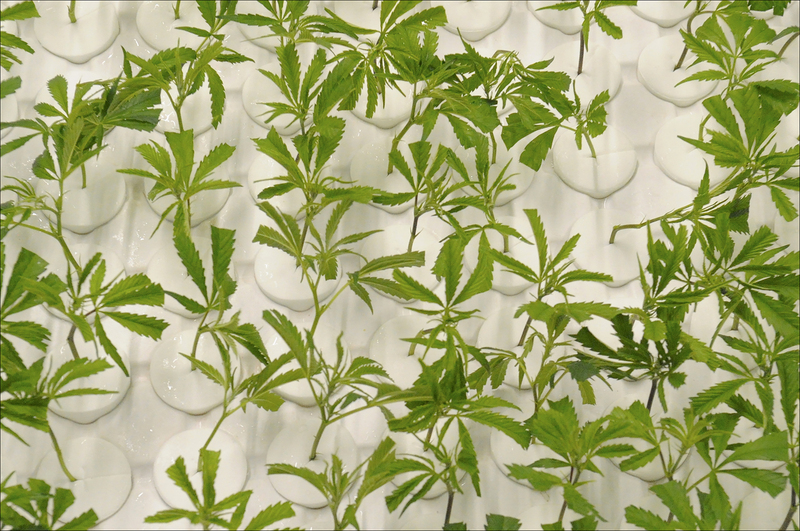 Michael Castleman examines baby marijuana plants. For those with cystic fibrosis, cannabis — in its edible but not smoked form — improves appetite, a key consideration since CF patients are often undernourished. Marijuana’s anti-inflammatory properties may also help reduce inflammation in the lungs, although its overall effects on those with CF remain to be seen. Cannabis use has also generated vast interest among people with Parkinson’s disease, prompting the Parkinson’s Foundation to plan its first conference on that subject in Denver (March 6-7). A recent studyjointly conducted by the nonprofit group and Northwestern University found that 80 percent of Parkinson’s patients report using cannabis, and 95 percent of neurologists have been asked to prescribe medical marijuana. But only 23 percent of doctors have received formal education on the subject. “Having worked as a clinician for the past decade in Colorado — a state at the forefront of medical marijuana use — it is clear that people with Parkinson’s and their families are intensely interested in the potential of marijuana and cannabinoids in helping manage symptoms and other aspects of the disease,” Benzi Kluger, MD, a professor at University of Colorado Hospitaland co-chair of the upcoming conference, said in a recent press release. This is an extremely regulated industry. In Hagerstown, the premises are under constant surveillance, all plants are accounted for, and all 61 employees had to pass a criminal background check before joining Kind Therapeutics. Castleman, one of those employees, is happy to show off Room 205, which contains around 400 cannabis plants in living soil. Down the hall is Room 212 — the drying room — which contains upwards of 2,000 plants. Here they hang for exactly 21 days, at exactly 60 percent relative humidity. The entrance to the Hagerstown, Maryland, facility. In partnership with Tikun Olam, Kind Therapeutics opened a seed-to-sale dispensary — known as First State Compassion — in Wilmington, Delaware, in 2015. MariMed also operates in Rhode Island, Massachusetts, Illinois and Nevada, and along with GenCanna produces hemp in Kentucky. Because medical marijuana isn’t legal nationwide, Kind Therapeutics cannot do its banking with Wells Fargo, Bank of America, or any other multistate bank in the U.S. Instead, it’s turned to Severn Saving Bank, a local institution, for about 90 percent of its financial needs. Medical regulation is another issue. Maryland, Diehl said, still needs to allow for cannabis in a variety of edible forms, like gummy bears or fruit chews, because many chronic disease patients don’t want to smoke. “So they’re making food on their own” like brownies and cookies, she added, and they don’t know the concentrations to do it right. Baby marijuana plants at the Kind Therapeutics cultivation facility. Ryan Crandall, MariMed’s chief production officer and a veteran of the computer software industry, thinks it crucial that cannabis products be affordable as well as effective. For example, a 100 mg bottle of “Healer” tincture costs $32 and lasts one to two weeks. “It’s a premium product at a very economical price point, because we want to get this medical product into patients’ hands economically,” he said. Another product, known as Rick Simpson Oil (RSO), is named after the Canadian cannabis activist who developed it. RSO is notable because it’s a full-plant extract that contains higher levels of THC. More than 83,000 patients are now registered with the Maryland Medical Cannabis Commission, which entitles them to buy cannabis products at an authorized dispensary. Yet Diehl said it’s been an uphill battle to persuade county authorities to approve new dispensaries around the state — though the landscape does appear to be changing as medical cannabis gains national acceptance. The post Medical Marijuana ‘Can Help Everyone,’ Says Director at Maryland Cannabis Facility appeared first on Parkinson’s News Today. A recent case report describes a 70-year-old woman with Parkinson’s disease who developed psychosis after taking nabilone, a man-made form of cannabis often used to treat severe nausea caused by cancer chemotherapy. The study, “Exacerbation of psychosis triggered by a synthetic cannabinoid in a 70-year-old woman with Parkinson disease,” was published in the Canadian Medical Association Journal (CMAJ). Psychosis, although not fully understood, is common in Parkinson’s disease, particularly in its later stages. Symptoms include minor illusions, vivid dreams, occasional visual hallucinations with loss of insight, paranoia and panic attacks. More than half of all Parkinson’s patients eventually develop some kind of non-motor symptoms over the course of their disease. There’s no predicting with certainty which Parkinson’s patients will go on to develop symptoms like hallucinations or delusions. Several risk factors are associated with the disorder, including age, duration and severity of Parkinson’s disease and dopamine therapy. There’s no reliable evidence to support cannabinoid use as a management therapy for Parkinson’s symptoms and some studies suggest cannabis may trigger or worsen psychosis even in the absence of a psychiatric history. However, when desperate for symptom relief, some patients may use medical marijuana and cannabinoids. Canadian clinicians reported the case of the woman, diagnosed with Parkinson’s for more than 12 years, who complained of chronic, painful, involuntary and repetitive twisting, plus sustained muscle contractions (dystonia). The patient also was resistant to multiple Parkinson’s drugs. Her family doctor prescribed nabilone to relieve symptoms. “The patient took two doses (1 mg) that resulted in intrusive visual hallucinations, panic and paranoia within hours. Despite stopping treatment with nabilone after the two doses, the patient’s psychosis worsened over the next three weeks. She had delusions that her neighbors were engaged in illegal and dangerous activities,” the team reported. Before nabilone’s ingestion, the patient had occasional visual hallucinations for years and mild cognitive impairment, but she was able to independently lead her daily life at home. No changes were made to her medication — levodopa/carbidopa (1,000/250 mg per day), entacapone (1,000 mg per day), pramipexole (4.5 mg per day) and amantadine (300 mg per day) — prior to the onset of non-motor symptoms. Three-weeks after nabilone, cognitive assessment revealed the patient’s orientation, attention, delayed recall and abstraction deteriorated, in comparison to her cognitive state prior to taking nabilone. Even though doctors adjusted her medication after psychosis occurred, her symptoms worsened, and two months after ingesting nabilone the patient was admitted to the hospital. After a few weeks and several medication adjustments, the patient’s psychosis subsided, and she was discharged with a new drug protocol, which included levodopa/carbidopa (1,000/250 mg/d), entacapone (1,000 mg/d), controlled-release levodopa/carbidopa (100/25 mg/d), fludrocortisone (0.1 mg in the morning) and clozapine (37.5 mg at bedtime). While not so severe, the patient’s visual hallucinations and delusions were still occurring three months after discharge. “Although the patient’s Parkinson disease, anti-parkinsonian drugs and previous psychiatric symptoms may have provided a predisposition to the development of psychosis, ingestion of nabilone was the clear trigger that caused her psychotic symptoms to become established and then spiral out of control,” the authors wrote. Given the observed effects of cannabinoid use in a susceptible Parkinson patient, clinicians have developed a patient information sheet to alert for cannabinoids’ potential side effects in Parkinson’s disease. The post Man-made Cannabis Induced Psychosis in Parkinson’s Patient, Case Report Says appeared first on Parkinson’s News Today. India Globalization Capital (IGC) has joined with the nonprofit Parkinson’s Institute and Clinical Center (PICC) with the goal of moving cannabinoid-based treatments for Parkinson’s disease into clinical testing. IGC, a company reported to be at the forefront of such Parkinson’s research, recently signed a Joint Development and Services Agreement with PICC to identify goals and design clinical trials for Parkinson’s that might determine if cannabis-based treatments can help to ease disease symptoms, an article published by CFN Media Group reports. PICC will assist in trial design and creating protocols using IGC’s cannabis extracted products. Dr. Carrolee Barlow, the center’s CEO, will lead these initiatives. Medical cannabis is used by some Parkinson’s patients to treat symptoms. But the lack of clinical data precludes its recommendation by physicians because its effects on patients are not fully known. IGC is conducting research on cannabis-based Serosapse for Parkinson’s patients. The treatment candidate is intended to ease several disease-related symptoms, such as rapid eye movement sleep disorder, incontinence, anxiety, and impairment of voluntary movement. Parkinson’s is diagnosed in about 60,000 Americans each year. About one million Americans and 10 million people worldwide have the disease, and these numbers are expected to increasing as population’s age. The post Partnership Aims to Move Cannabis-Based Treatments for Parkinson’s into Clinical Testing appeared first on Parkinson’s News Today.